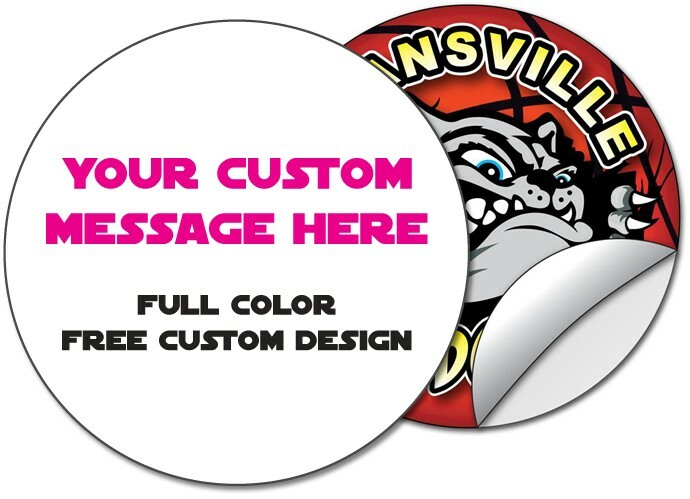 We provide FREE CUSTOM ARTWORK DESIGN for your orders! Don’t waste your time with stock art and the clumsy self-design programs on other sites. Instead have a unique removable bumper sticker custom designed to your exact specifications. 3.875 in. x 3.875 in.